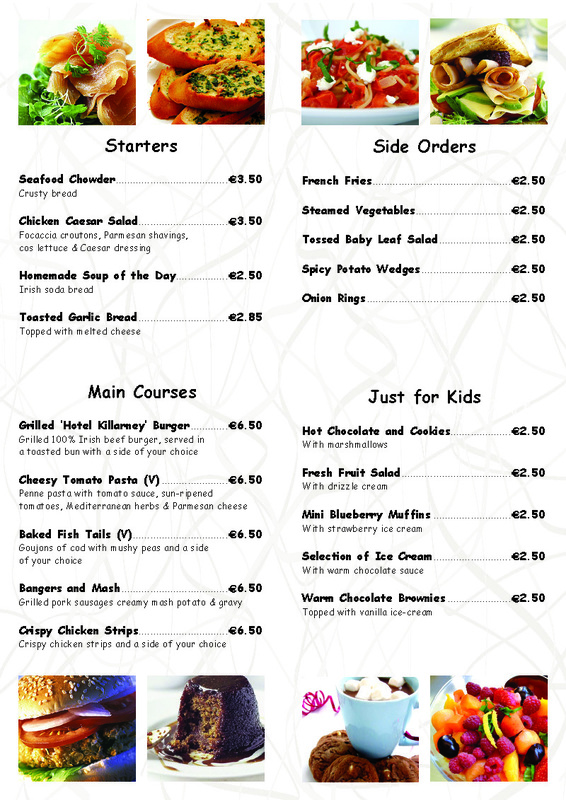 We at Hotel Killarney have designed a special menu just for kids, available in both our Lobby Lounge and Lannigan’s Restaurant. Our special kids menu offers tasty and nutritious meals for your children. We know how hard parents work to make sure that their kids eat well, so we put our heads together to come up with what we think is the perfect menu for kids. Featuring great child friendly food like chicken and noodles, spaghetti Bolognese and even homemade chicken nuggets, all freshly prepared by our team of chefs. We have taken feedback on our menu from the people that matter most – the kids themselves and are pleased to say that it has received a resounding thumbs-up!